Indian economy is largely dependent on our villages and cows/ cattle are the backbones of rural economy. 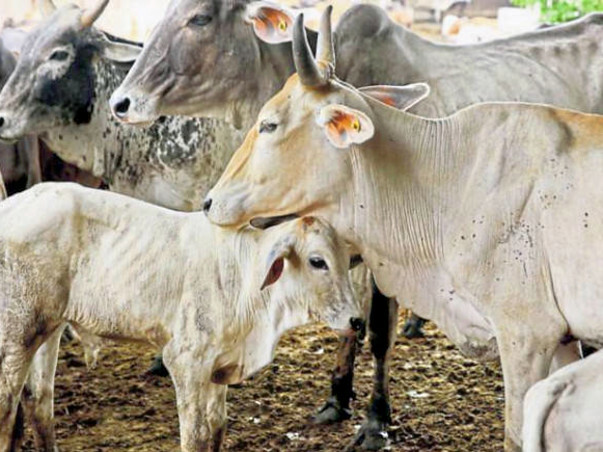 Many times, villagers have to sell their Desi cows for their immediate financial need or when they stop giving milk, or they sell their bullocks because of huge drought which makes farming for that year non profitable. Finally many of these cattle end up in the slaughterhouses. These cattle, instead of landing in slaughterhouses should be bought and protected. In this way, saving Indigenous cattle, the wealth of our nation, means to save the culture and tradition of this country as well. 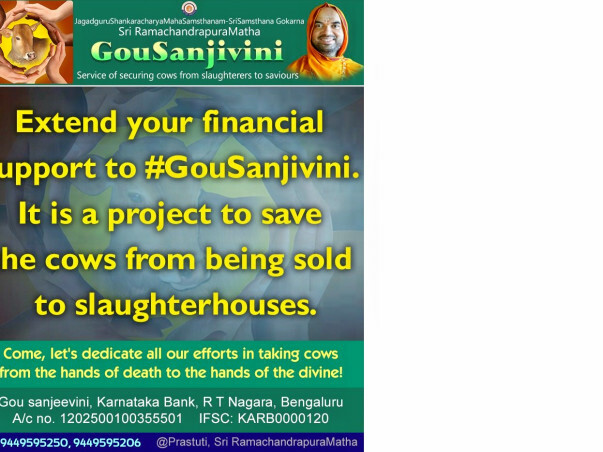 Gou Sanjivini project regularly buys cattle from farmers which go into the hands of butchers. Here we need to mention the very specific case of a huge disaster happening every year in the name of Aadi Festival. Cattle Market is Butchers Market? Aadi Jatra is an annual festival organized at Andiyur of Erode district in TamilNadu, bordering Karnataka. Initially Aadi Jatra was organized to benefit farmers. But lately the Jatra is controlled entirely by Slaughterers. It is inevitable for innocent farmers to sell their cows, but what they are not aware of is, whatever cows sold in Aadi Jatra will eventually reach slaughterers and gets killed brutally! To save huge number of cattles from death, Swamaiji of Shri Ramachandrapura Matha proposed starting Abhaya Festival. Abhaya Festival is a befitting reply to the Aadi Festival. Shockingly thousands of cows which were saved under #GouPranaBhiksha and #GiveUpAMeal initiatives, few months back, providing fodder free of cost for several months, are the same cows now are heading to Aadi Festival! How can anyone let this happen? To counter the Aadi Festival and to provide farmers an alternate option not to sell it to slaughterers, Abhaya Festival was organized at Kempayyana Hatti village in Chamarajanagar district from 11 to 13th August 2017 and will be repeated 2-3 times every year. •In Abhaya Festival, cows are purchased to save them, to provide them their right to live. Cows are bought under the scheme of GouSanjivini and then are looked after by the Matha. Besides Abhaya Festival, Cows and cattle are also regularly saved while being transported by butchers or purchased by poor farmers, with help of Gou Parivar team, ground level volunteers. Gou Sanjivini takes care of these cattle on regular basis. There is huge need of spreading awareness and getting support for Gou Sanjivini. Come be a part of this noble cause and donate generously.